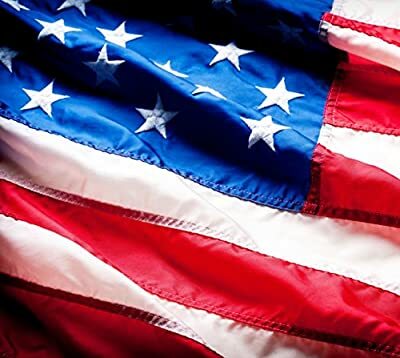 This flag is a symbol of the courage and dignity of the law enforcement officers who stand between the criminals and the victims of crime. - Two rows of lock stitching Per Seam. - Four rows of lock stitching on fly end. 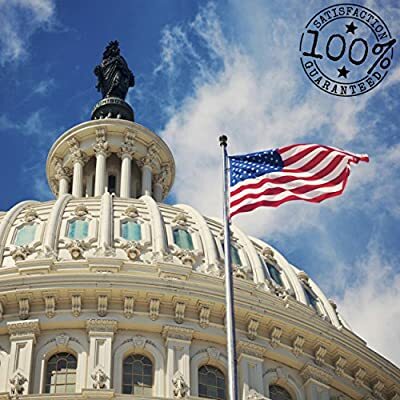 - Heavy-duty brass grommets for mounting on a flagpole.
? BACK THE BLUE! 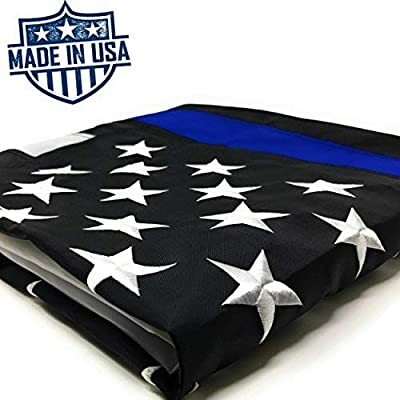 - Proudly fly this Thin Blue Line Flag, honoring the men and women of law enforcement who risk their lives against insurmountable odds, and those heroes who have fallen in the line of duty. They left their families to protect yours. ? QUALITY WORKMANSHIP - You will appreciate the quality of this 3x5 Police flag with top notch embroidery. The stars are embroidered using densely filled rich white thread. The heavy duty nylon stripes are sewn with two rows of lock stitching for improved durability. It will fly strong through good and bad weather. ? 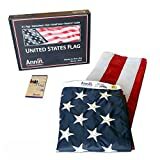 PERFECT FLAG OR YOUR MONEY BACK - We offer a 100% satisfaction guarantee to ensure that you receive and enjoy this 3x5 American Police Flag. Order now, risk-free! ? 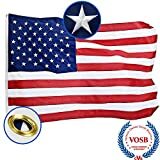 EXTRA STRENGTH - With the polyester heading, heavy duty brass grommets and a quadruple stitching on fly end which is the most susceptible to stress - you know that you can rely on this flag to show your support for a very long time! ? 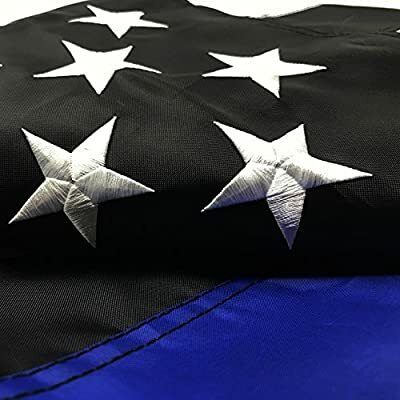 DURABLE - Our 3x5 Thin Blue Line Police Flag is built from lightweight nylon with UV ray protection to be able to withstand harsh heat from the sun and chemical deterioration.